Every second Sunday in March surveyors and cartographers of Russia celebrate their professional holiday — Day of workers of geodesy and cartography. 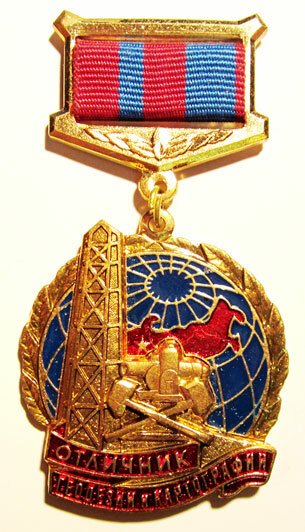 The holiday was established by the decree of the President of the Russian Federation № 1867 «About the Day of geodesy and cartography workers» dated 11 November 2000. In Russia, the art of drawing up geographical drawings was known in the pre-Petrine era. For example, the first printed version of the map of Russia — a map of Moscow lands, dated January 26, 1525. And in 1667 by order of voivode P. I. Godunov was made a map of Siberia, a copy of which is preserved in the Stockholm state archive. The very same profession cartographer appeared later — in March 1720 in Russia by order of Peter I began the first cartographic survey. Under Nicholas I, after the founding of the Pulkovo Observatory, geodesy and cartography in Russia have made significant progress. At this time, major works were carried out, such as measuring the Meridian arc from Lapland to the mouths of the Danube and drawing up a three-verst topographic map of the Western provinces, since 1846. Sheets of this map began to go on sale under Alexander II. He also published a 10-verst map of European Russia, as well as a number of maps of Asian Russia (Caucasus, Central Asia). This period includes the emergence of private mapping activities. But, to improve the quality and efficiency of activities in this industry, in the 19th century in Russia there was a need to address the issue of centralization of work on cartography and geodesy. 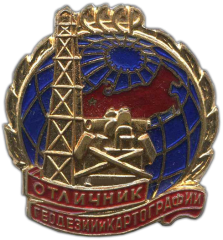 Unified geodetic service was formed by Decree of the SNK of the RSFSR on March 15, 1919, called the Higher Geodetic Control (HGC). Over the years, the structure and subordination of departments dealing with geodesy and cartography in our country have changed many times. 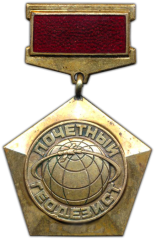 In 1992 the Federal service of geodesy and cartography of Russia was created, and as a result of the last reorganization activity in the field of geodesy and cartography is included in the sphere of maintaining Federal service of state registration, the cadastre and cartography - Rosreestr which has in each subject of the Russian Federation the territorial authority. The main tasks of this service today are: providing Federal Executive authorities and other interested persons with cartographic materials and results of geodetic measurements for the solution of a number of state tasks in the field of territorial development, construction and engineering researches, management of natural resources, ecology, navigation activity, defense and security of the state. In addition, given the development of satellite and information technology, the results of cartographic activities are designed to provide spatial data infrastructure. The work of cartographers and surveyors at all times was very important, because without them there would be maps and atlases, without which, in turn, the work of builders, transport workers, and in General, all modern life is impossible. And today people of this profession are in demand, their work is valuable and important.